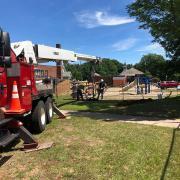 Lending a helping hand to Powell Township School. 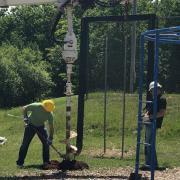 Their new playground equipment was in need of some good size holes to set them in, and we brought in our digger buddy to help! 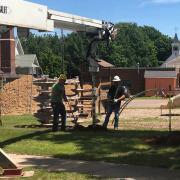 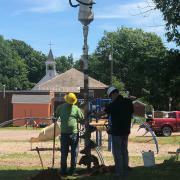 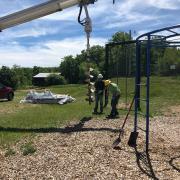 Powell Township School recently added new playground equipment to their current playground, where Alger Delta assisted in digging out the holes for the new equipment placement.